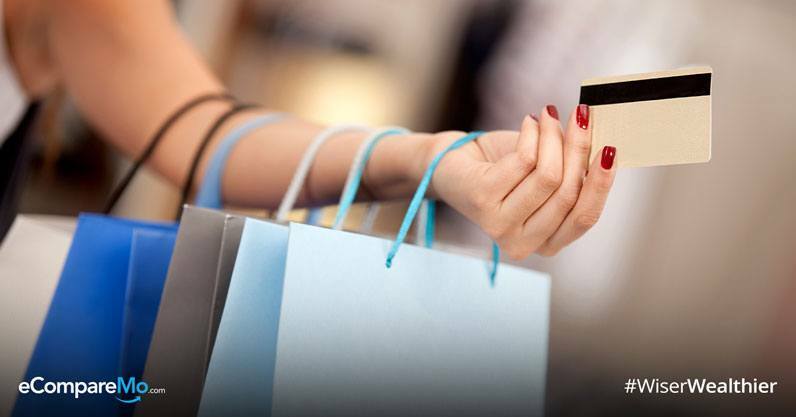 Credit cards have become a common financial best friend of Filipinos who want to spend beyond what their pockets can handle. Currently, there are about 6.7 million credit cards circulating in the Philippines, with an estimated 4.0 million cardholders in total. However, having a MasterCard or Visa card requires more discipline and responsibility, especially in terms of paying bills on time. Missing or delaying a payment incurs more money to shell out, and interest comes to play and burdens you more than you can expect. In this post, we want to list down effective tips on how you can deal with your monthly credit card bill. One of the common reasons for bank arrears is due to owning multiple credit cards. The difficult part is remembering the due date of each one to ensure you’re not missing any payment. Unlike in other countries, like Indonesia, where they implement a strict rule on limiting credit card issuance per person, Philippines has more independence in terms of banking transactions. However, financial analyst Ralph Ngo noted in an interview with ABSCBN News website that it’s best to limit your number of cards and transactions with it, and instead, only swipe during emergencies. “You can use your credit card if, let’s say, there is an emergency and it is understandable if you can’t pay it in full. But at least have a plan on how you can pay it sooner than facing the consequences or the burden of paying the interest only,” Ngo added. There’s no easy way to beat high interest due to an unpaid bill but to set a reminder for yourself since it’s something that you can do manually. There are various ways on how to make a reminder, and you can be as creative as possible in applying this method. You can either use a Post-It sticky note on any obvious location where you’ll easily be reminded about your due date or set an alarm on your smartphone or tablet calendar. For the organized ones, they usually include it on their organizers, PC calendar, or on their basket of bills. With the recent advancements in technology, banking transactions are now done more efficiently and on air without having the need to visit your local bank outlets. They now offer us the option to transact using their official website or through their official mobile app. Apart from informing you about every transaction you made, some banks today even offer a special feature where they’ll send you a reminder through a text message or an email about your upcoming due date. You can also apply the electronic bill feature, so you can receive your bills faster than snail mail. This option applies to those who have a savings and a credit card in the same bank. All you have to do is to apply this payment feature online or through their app, then you need to set the date on when you want the automatic payment to be done. The payment will come from your savings account, thus you have to make sure your money on the account is sufficient to cover your bill. With this option, you can now avoid being charged for late payment or missing a bill. Overall, the most effective way to handle your credit card payment is to be aware of everything that is written on your monthly bill. Take note of all your transactions you’ve made and check if the billing statement is correct based on your record. Any transactions or fees without your knowledge should be informed to your bank. How do you manage your monthly credit card bill?